I have not been to Tuscany in a few years and every so often I get a longing for Sangiovese, which is at its best in Chianti. 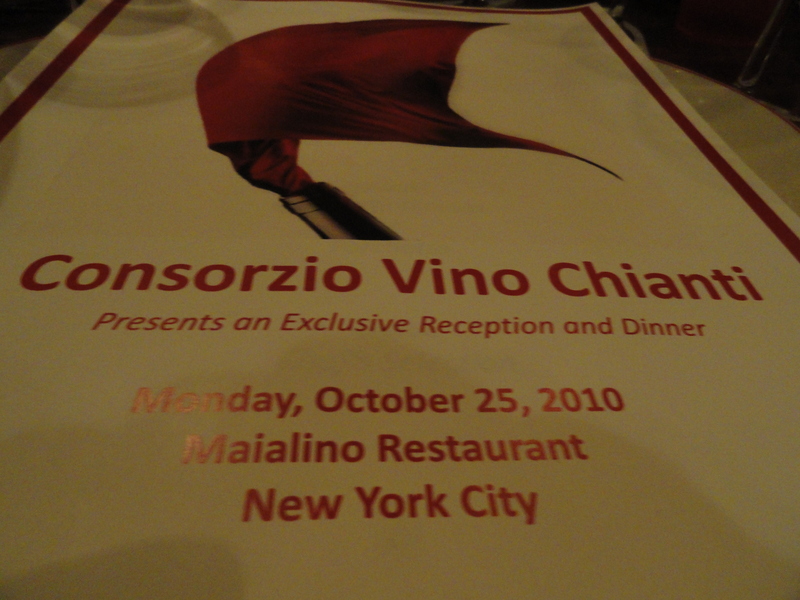 I had the chance to satisfy that longing, albeit in New York, when I was invited by the Consorzio Vino Chianti to taste and drink the wine of six Chianti producers at Maialino Restaurant. Chianti and Porchetta, I thought, how could I resist? covered by the DOCG. Now the Chianti production area is located in the provinces of Arezzo, Florence. Pisa, Pistoia,Prato and Siena. Chianti wines are designated as: Colli Aretini, Colli Fiorentini, Colli Senesi, Colline Pisane, Montalbano, Rufina, and the last added in 1997 Montespertoli. In addition is the return of the Chianti “Superiore” which can come from anywhere in the Chianti wine area with the exception of the Chianti Classico zone between Florence and Siena. Superiore cannot have a name of an area on the label. There is also the Colli dell’ Etruria Centrale which is a DOC and permits in the Chianti DOCG area the production of wines of a different quality from Chianti which include reds, whites, roses, novello and Vin Santo . I believe this is all very confusing to the average consumer. Grape varieties for Chianti: A minimum of 70% Sangiovese – 30% of other grapes, with a maximum of 10% of white grapes varieties and 15% for Cabernets. Chianti DOCG 2009 “I Sodi del Paretaio” Badia di Morrona Made from 85% Sangiovese/15% Cabernet Sauvignon, Merlot and Syrah. The grapes were mainly machine-picked in late September and early October. Eight days of maceration and aged for ten months in stainless-steel or concrete vats. Chianti DOCG 2009 “Gabbiano” Castello di GabbianoMade from 90% Sangiovese/10% other red grapes in the area. Location of vineyards- San Casciano Val di Pesa. Fermentation in stainless steel tanks, maceration on the skins for ten days with pumping over three times a day. Aged for three months in stainless steel tanks before it is released. 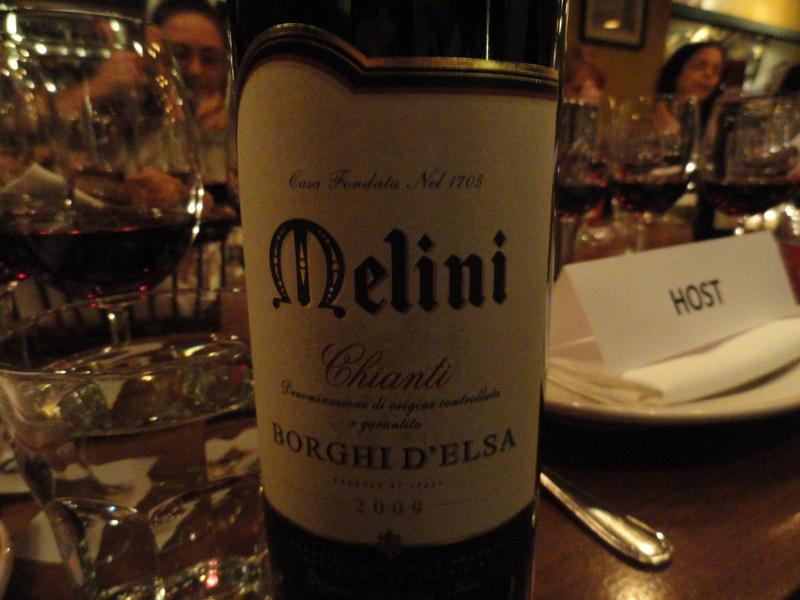 Chianti DOCG 2009 “Borghi D’ Elsa” Fattorie MeliniMade from 85% Sangiovese Grosso ,15% Canaiolo, Merlot and two white grapes, Malvasia and Trebbiano. Location: In the heart of the Chianti region alongside the Elsa River Valley. With controlled fermentation for about 10 days with frequent remontages. This is the interesting part: A small percentage of the grapes, which have over-ripened on the vines, are placed in vinificators containing a previously fermented product, starting up again the fermentation of fresh grapes on wine already made. This very slow and steady refermentation renders (according to the producer) a “rich” result, well structured and of exceptional complexity, which is put into what will be the finished wine. This sounds a little like the “governo method” which was very common in Chianti a number of years ago. 10 % of the grapes were taken out and dried and then added to the “fresh” wine. The wine is aged in stainless steel for 3 months and a short time in bottle before it is released. 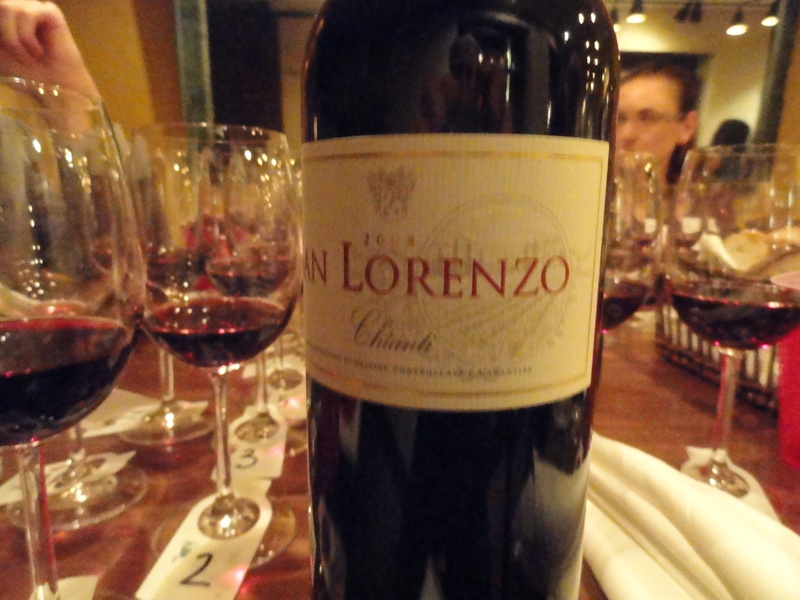 Chianti DOCG 2008 “San Lorenzo” Fattorie MeliniMade from 85% Sangiovese Grosso and 15% Canaiolo, Merlot, Cabernet Sauvignon. Location- San Lorenzo a vineyard area that is pare of Melini’s Gaggiano di Poggibonsi farm. The vines are planted on slops rising 300m with a combination albarese and albarese soil. The “well ripened “ grapes “ are picked in October, there is a 3 to 4 day cold pre-fermentation maceration at a controlled temperature with frequent remontages and a short aging period partly in steel tanks and a small part in medium wooden barrels. 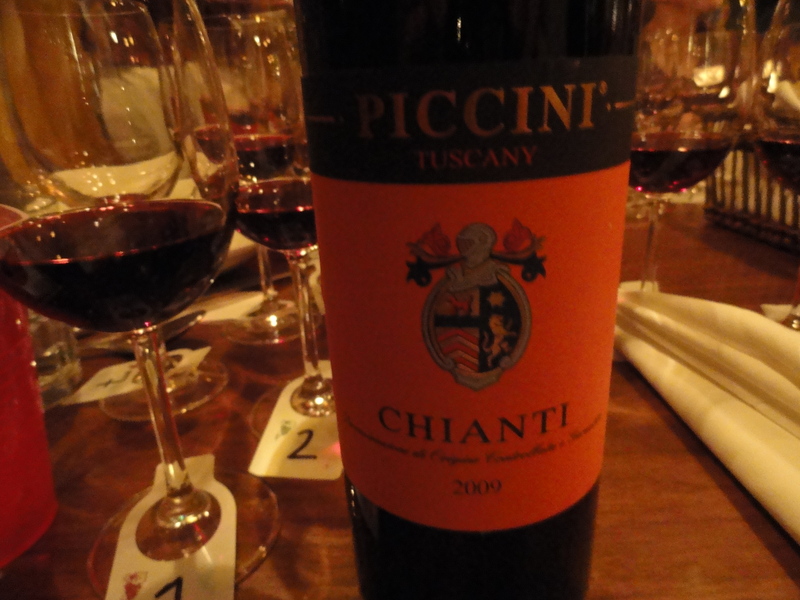 Chianti DOCG 2009 PicciniMade from 95% Sangiovese and 5% Ciliegiolo Location Chianti, Tuscany. Soil-clay and rocks. There is a long fermentation and afterward there is a second fermentation induced by adding a selection of withered Sangiovese grapes that is known as the “governo method” – Governo All’Uso Tuscano. 10 to 15% of must from the grapes gathered before the harvest are partially dried on reed trays known as cannici, or wicker frames called castelli and added to the wine before the end of December. This is a traditional Tuscan method that is not used today by many producers. 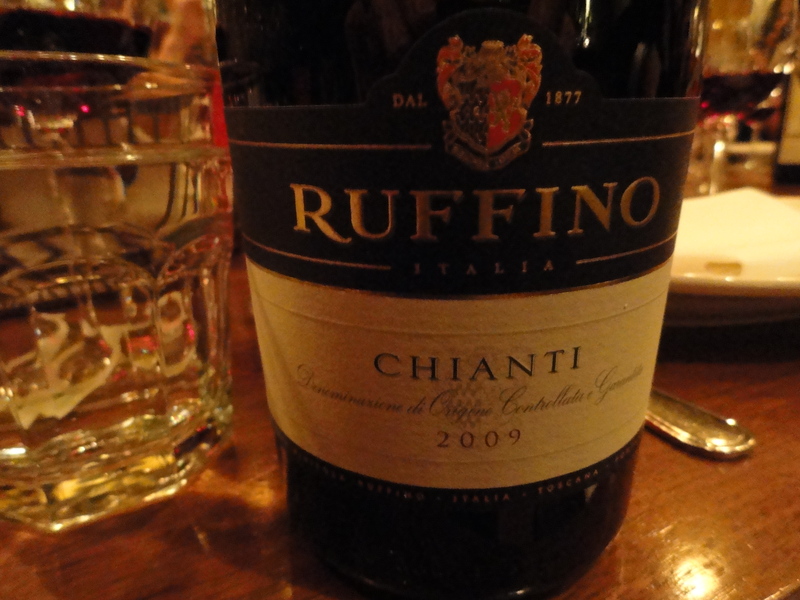 Chianti Superiore DOCG 2008 Ruffino Made from a minimum of 75% Sangiovese and other varieties such as Canaiolo and Colorino. Location- Best location within the Chianti area. Chianti Superiore’s code of production limits the maximum yield at 7.5 tons per hectare, the same as Chianti Classico but the grapes can come from any place in Chianti (except the Classico area). Superiore is created by a careful selection of the best grapes during harvest. The harvest began in the end of September and lasted to the middle of October. Alcoholic fermentation took place in stainless steel vats for about two weeks, post fermentative maceration continued on the skins for seven days. The wine was aged in stainless steel vats for 7 months and in bottle for three months before it was released. Vin Santo Del Chianti DOC 2006 Badia Di Morrona Location of Vineyards Terricciola (Pisa) Made from 70% Trebbiano, 15 % Malvasia Bianca and 15% Colombana. The selected grapes hang from the ceiling to wither in a dry and ventilated loft until January. The wine spends 3 years in caratelli- -Tuscan 112 liter oak barrels. 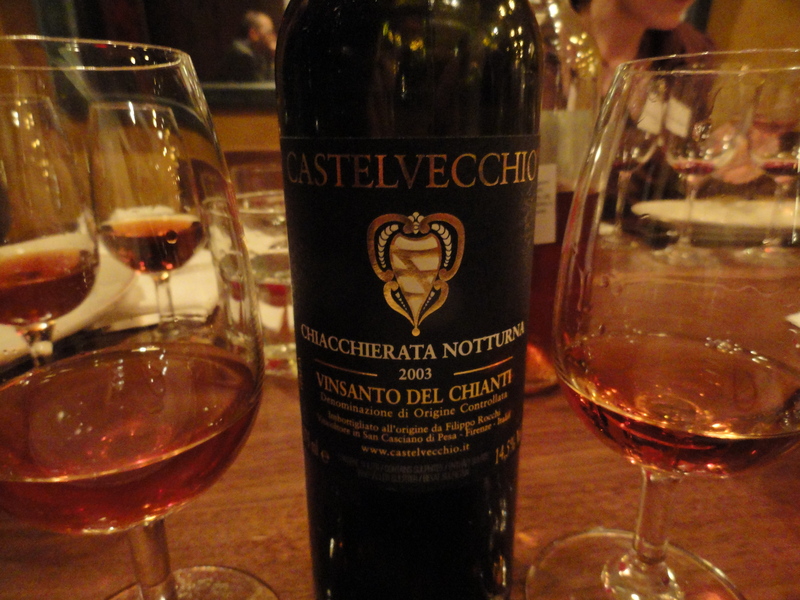 Vin Santo Del Chianti 2003 “Chiacchierata Notturna” Castelvecchio Location of Vineyards San Casciano Val di Pese Made from 70 Trebbiano and 30% Sangiovese The best bunches of grapes are selected in September and hang to dry until December in order to get a high sugar content. The wine is aged for 5 years in caratelli made of oak and a minimum of 3 months in bottle before it is released. This wine was drinking very well. I was happy to see that the producers were using traditional grapes for the most part. I liked all the wines with their bright fruit hints of violet, good acidity and the aroma of sunshine on the Tuscan pines. 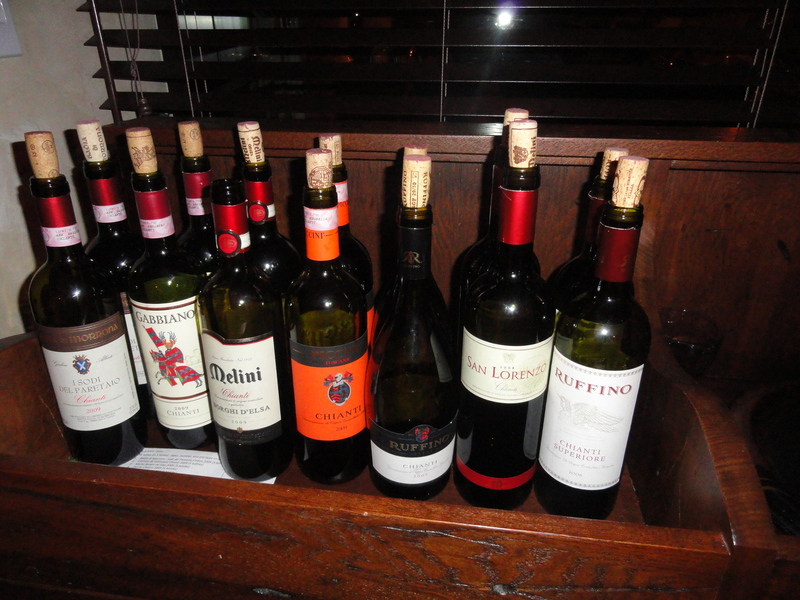 The ones that went best with the food were: the Piccini, both of the wines from Ruffino and the Melini “San Lorenzo”. 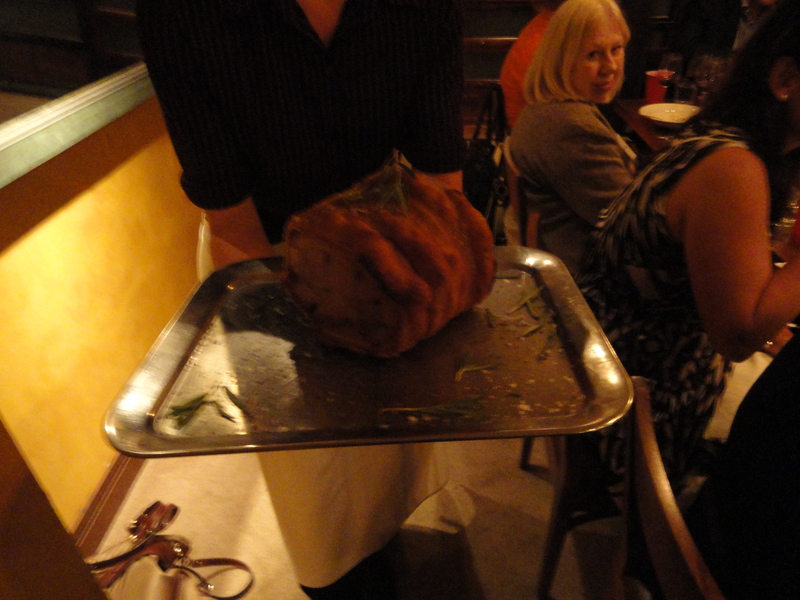 They went well with the Bombolotti all’Amatriciana and the Porchetta. We finished the meal with Vin Santo and cantucci — a perfect Tuscan ending to a wonderful evening. I didn’t know that I could purchase a bottle of Ruffino for $10! I’m there. Ciao Mattie – Yes it is a great buy!